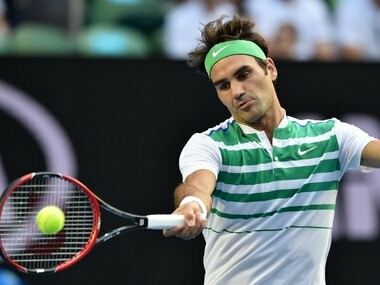 Melbourne: Roger Federer blasted critics who say he's too old and insisted he was confident of beating Novak Djokovic again at a Grand Slam after his four-set defeat in the Australian Open semi-finals on Thursday. 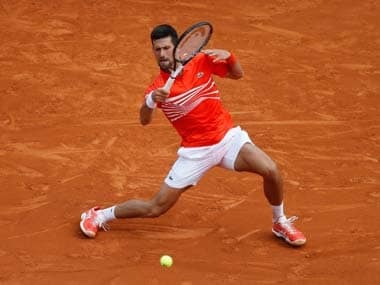 The 34-year-old Swiss great was flattened by Djokovic in the opening two sets before he finally went down 6-1, 6-2, 3-6, 6-3, in his eighth loss to the Serb in their last 10 Grand Slam meetings. "Best-of-three, best-of-five, I can run for four or five hours. It's not a problem. I prove it in practice again in the off-season no sweat. So from that standpoint I'm not worried going into long rallies," Federer said. "I know you guys (media) make it a different case. I get that, because you think I'm old and all that. But it's no problem for me. But it doesn't scare me when I go into a big match against any player who's in their prime right now." 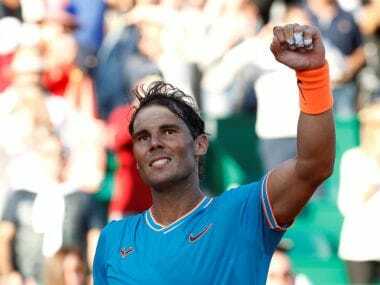 The world number three is redefining the career trajectory for men's tennis as he remains among the elite at a time when most players his age have faded or already retired. But Federer, now working with Ivan Ljubicic -- who has an intimate knowledge of Djokovic's game -- is getting no closer to solving the riddle of beating the Serb, who won two Grand Slam finals against him last year. 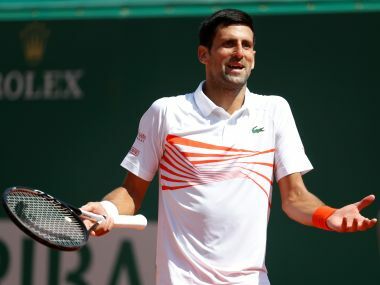 The 17-time Grand Slam-winner hit out at "stupid questions" when he was asked if Djokovic, now 28 and with 10 major titles, could take an even tighter grip on the sport than the Swiss did in his prime. "I think it's hard to keep up that level of play. What he's been doing is amazing. I was very happy how I've been able to keep up my level," he said. "Is it better or not? I don't know. I think we're both, all of us, with Rafa (Nadal), Novak, me, (Andy) Murray, you name it, Stan (Wawrinka), we're all very happy with our careers." But he took solace from another deep run at a Grand Slam tournament, which left him just two wins short of becoming the oldest Australian Open champion since a 37-year-old Ken Rosewall in 1972. "It's disappointing, but at the same time I'm going deep in Slams right now. I'm having great runs. I thought I had a tough draw here, so I'm actually pleased where my level's at at the beginning of the season," Federer said. "Novak right now is a reference for everybody. 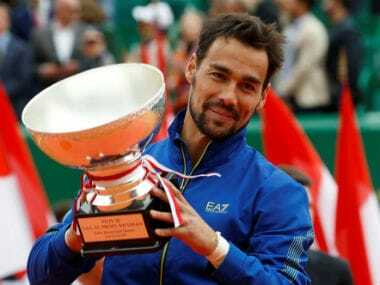 He's the only guy that has been able to stop me as of late, and Stan (Wawrinka) when he was on fire when he was in Paris," he added, referring to his loss to Wawrinka in last year's French Open quarter-finals. "It's okay. I wish I could have played a bit better, and who knows what would have happened. Today Novak was very, very good. There's no doubt about it." RF: Yeah, I mean, I've seen Novak play this well before. It's tough when it's from the start because obviously you got to try to stop the bleeding at some point, you know. Because he returns very well, like Andre Agassi. He can get one or two sets all of a sudden. Those sets run away very quickly. RF: I mean, honestly I don't care if I lose a set 7-6 or 6-1. As long as you lose a set, it's not a good thing. I know how important the first set is against Novak especially at this time right now when he's world No. 1. When he gets on a roll, it's tough to stop. RF: Yeah, you know, of course I wanted to do well. Of course I had a game plan. Of course I had ideas what I should do. I couldn't quite get it done. Maybe parts of my game, maybe parts of his game just matched up in a tough way and the first set ran away very quickly. RF: Top hundred (smiling). Then I got an unlucky let cord. That calmed me down very quickly again. RF: Yeah, I mean, I said it before many times. I think he cleaned up his game very nicely. Whatever was sometimes suspect before is not as wobbly anymore like it used to be. His serve is part of that. He used to have issues with double-faults. I think he serves very accurate, which is important for a serve. RF: Well, I mean, I have self-confidence as well, you know. That doesn't fade away very quickly. I know it's not easy. I never thought it was easy. RF: You have to be careful how you phrase a question. You don't want to be rude to the other players because you have to face them. I don't have to face them. I don't ask them stupid questions like that. RF: Well, I mean, he definitely maybe dropped his level of play just ever so slightly. But that's all it takes, you know. It's not easy to keep playing the way he was playing. You can't read all the serves all the time. I started to get a few more free points. I started to get more opportunities on his service games, as well. RF: I said it before. I think he's played this well against me in the past. He's a great front-runner. He starts swinging freely. Usually does it towards the end of the match, obviously when he's in the lead. It's rare for him to do that early on. RF: Definitely parts as well, you know. I talk about it every time, especially at the end of a tournament, how thankful I am for the crowd. It is an incredible run. It's a big part of why I'm still playing today.